New here? Welcome! 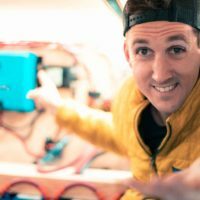 This blog post houses all of our DIY solar and electrical tutorials for campers, vans, truck campers, and RVs. Been here before? Welcome back. The page has a new look. There was SO much information here it was getting messy, so the topics have been broken up into individual topics so they are easier to find and gives a better user experience. Our interactive solar wiring diagrams have been a real hit, but most of you want to know more about the ‘why' behind the interactive diagrams. Perhaps you're building something completely off the wall and are looking for some more, general learning about solar and mobile solar systems. You're in the right place! 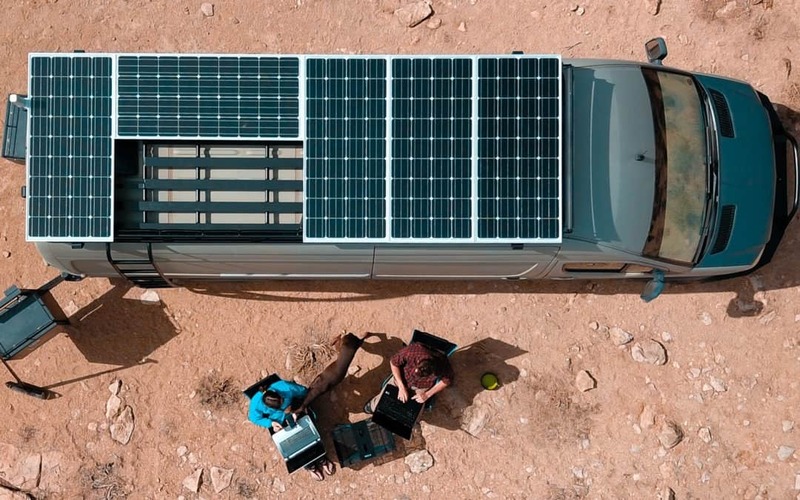 Keep reading to see our step-by-step guide for how to install a mobile solar and electrical system in a camper, van, truck camper, or RV. 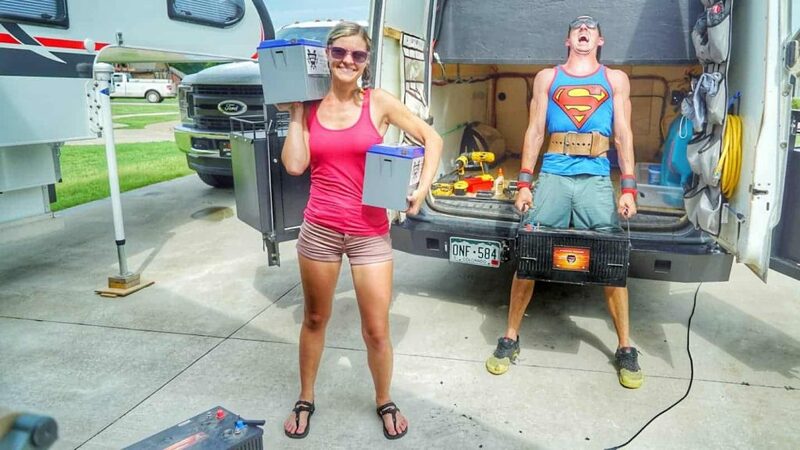 In a Camper Van, you've already got a generator built-in. It's called your alternator. Your vehicles battery powers all of the electrical devices that your vehicle needs on a day to day basis. Spark plugs, ECU, Fuel Pump, Air conditioner blower, radio, and much more. The alternator's job is to keep that battery full. 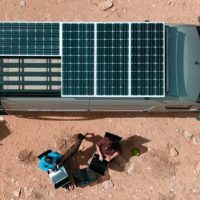 Now, you're converting a van into a camper van and plan on installing ‘house' batteries to run all of your household stuff like, lights, fans, refrigerator, computer and whatever else you've got going on. 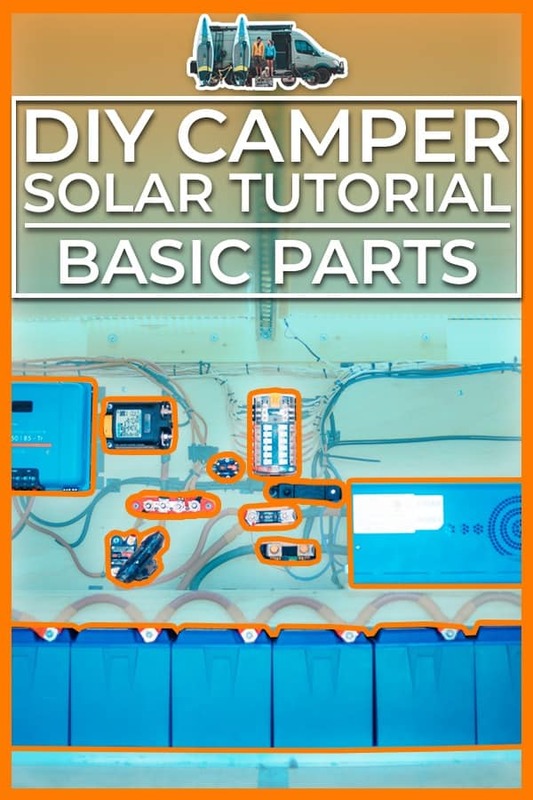 This DIY Camper Solar System Guide is a multi step, complete educational series that by the end, you will know what all of the parts of a solar system do, how they work together, what you'll need for YOUR specific system, and what to expect during the build. These lessons go in order so I recommend starting from the top. 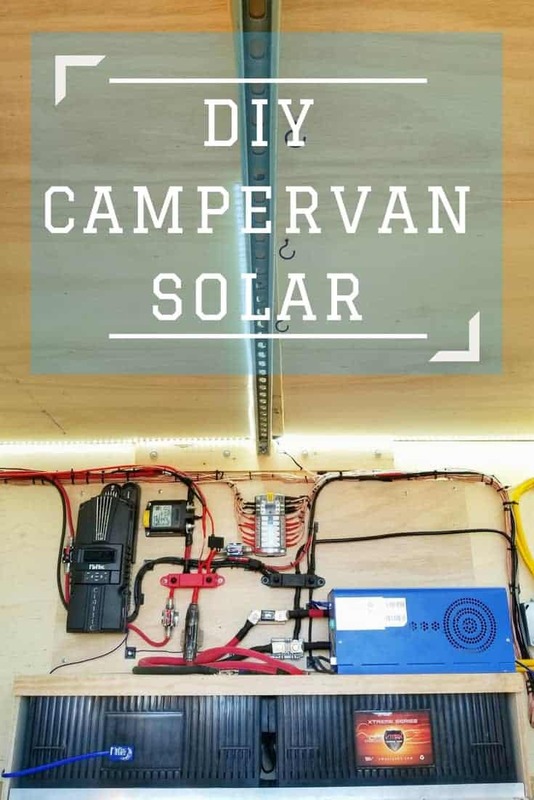 This post outlines all of the main parts and components of a DIY Camper Solar setup. 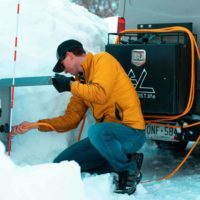 This blog post will teach you how to size the battery bank in your camper according to YOUR needs. 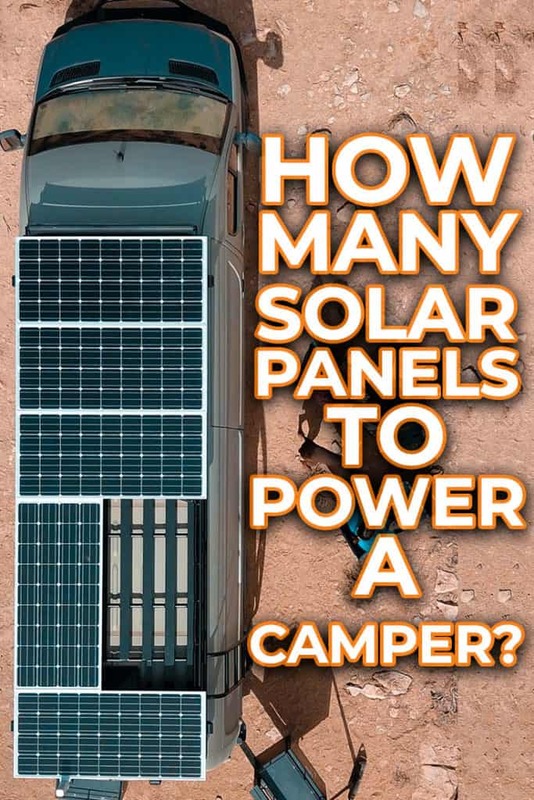 This tutorial will instruct you on how many solar panels you need for your camper electrical system based on YOUR needs. 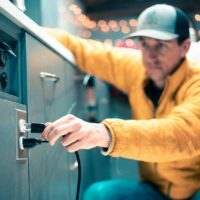 This guide & calculator will help you accurate select the proper solar charge controller for your campers electrical build. 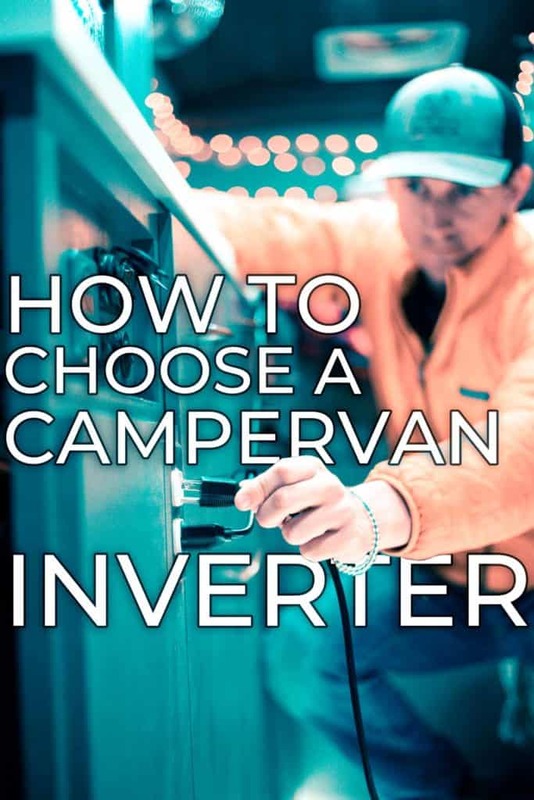 This blog post & calculator will teach you how to properly size an inverter for your camper based on YOUR needs. 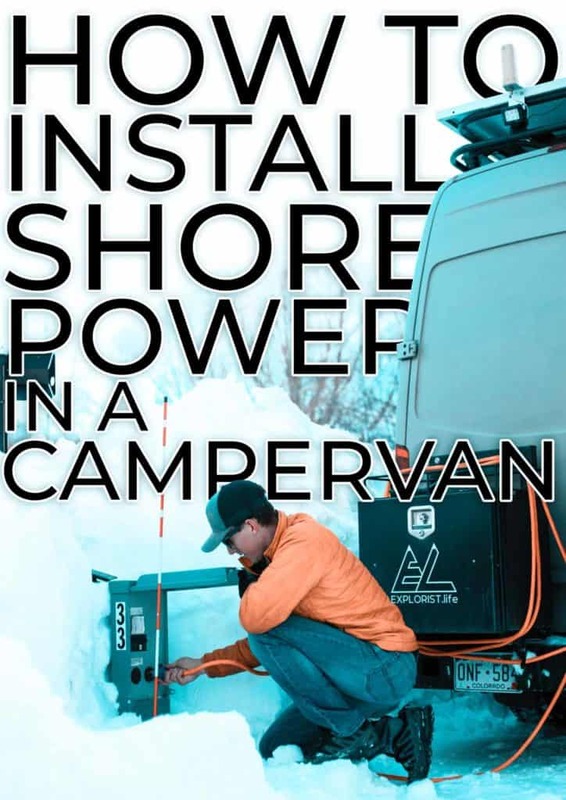 This guide will teach you how to add shore power to your camper to charge batteries & power devices when you've got access to on-the-grid power. 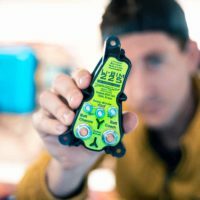 This blog post will teach you how to choose the proper battery isolator for your camper electrical system. 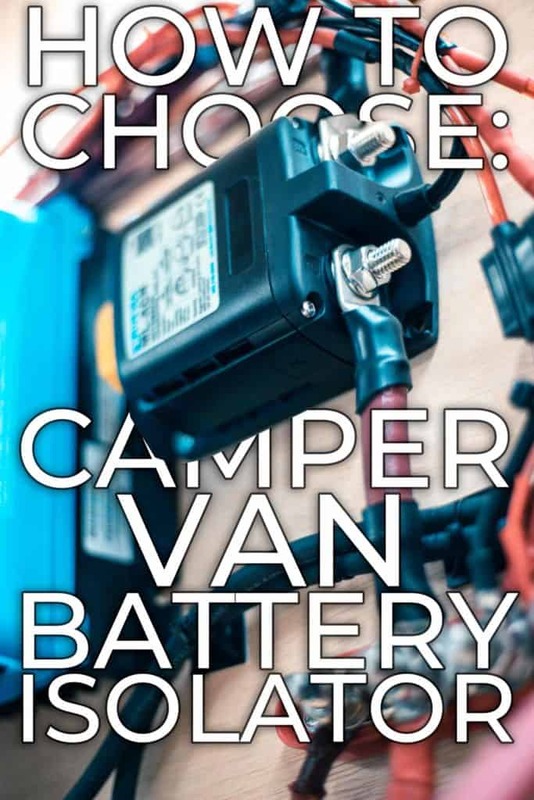 This guide will teach you how to charge your camper house batteries with your engine alternator. 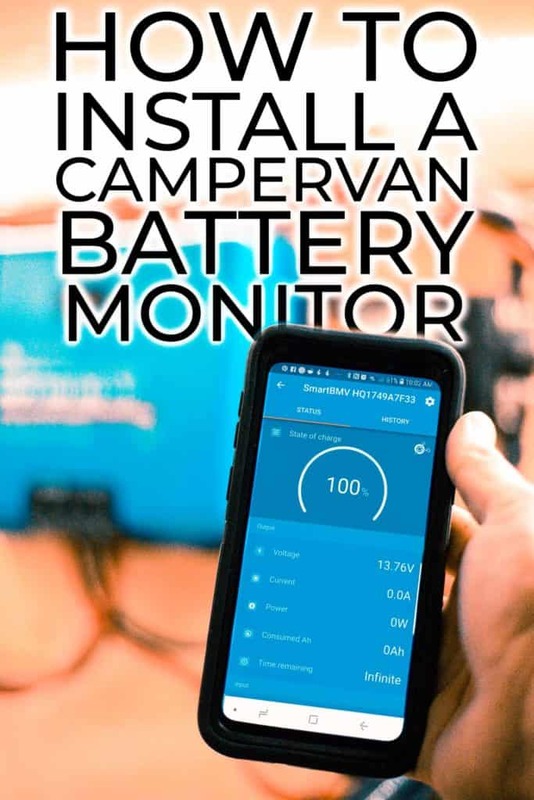 This article will teach you why you need & how to wire a battery monitor in your camper electrical build. 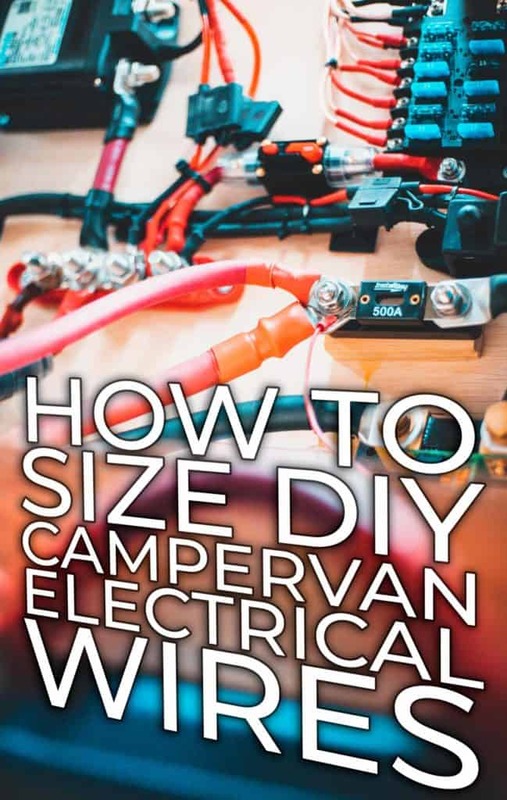 This blog post will teach you how to choose the proper wire sizes for your camper electrical build. 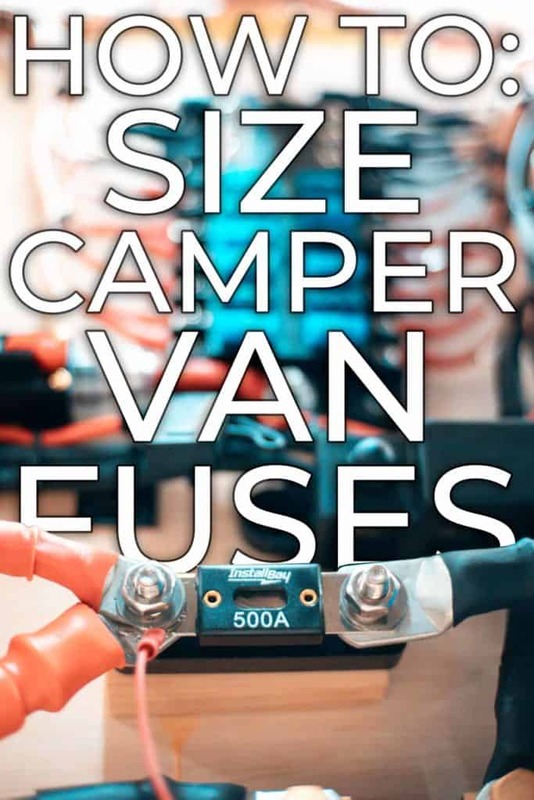 This guide will instruct you how to accurately size fuses for your camper electrical build. 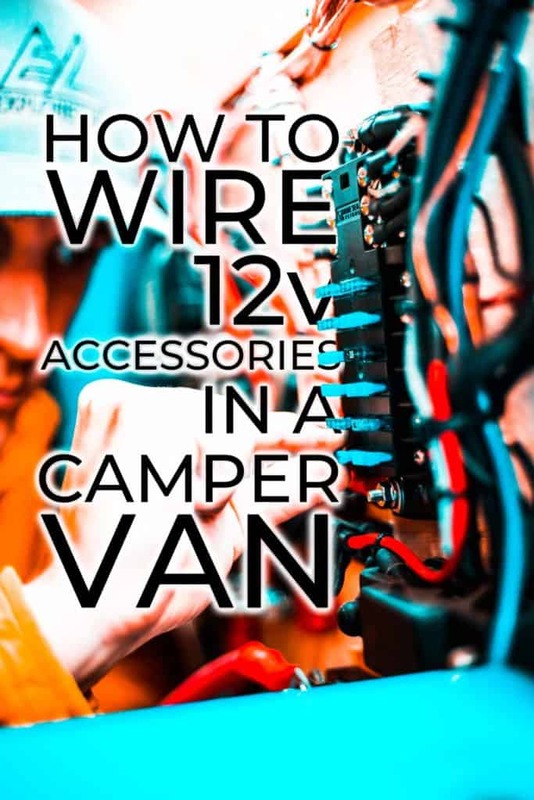 This tutorial will teach you how to wire 12v accessories & plugs in your camper electrical build. 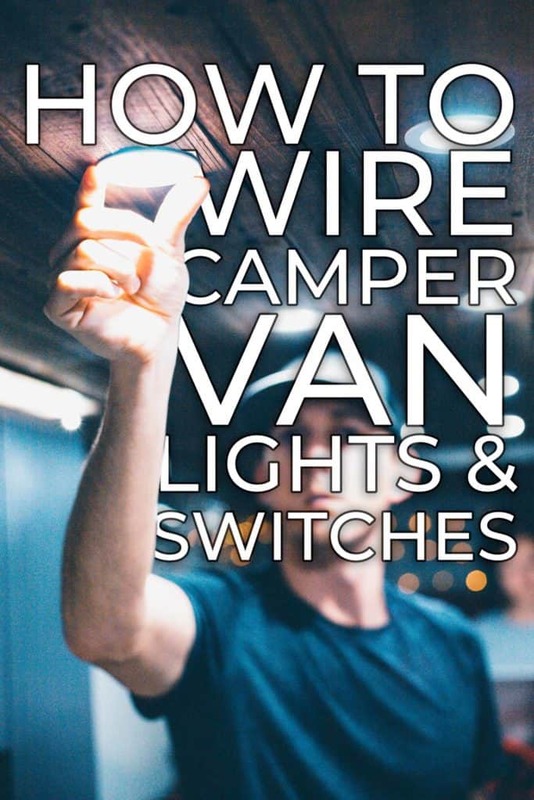 These wiring diagrams will show you how to wire 12v lights & switches into your campervan. 2-way switches too! Very well put-together and comprehensive lists here. Excellent work! One suggestion would be to add one more column that includes a short description for what the item is for, e.g. 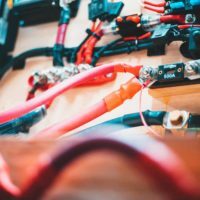 in the case of the wiring, where there are different wires sizes/types, it would be helpful to know where to use the different sizes/types of wire. Hey Nate, this is such great information and instruction! That 350 amp ANL fuse? I’ve seen that between the battery switch and the pos. bus, and also between the pos. bus and the inverter. What is the correct location? Again, you guys do an incredible job! Thanks so much! That will go between the busbar and the inverter. If you felt it necessary to protect the wire going between the battery and busbar, you could also put a second one there if you so desired. Hey Bruce! Thanks, and it sounds like you’ve making the most of our time. We LOVE that area of Utah. Where is your favorite? Anyway, for charging from the alternator, you’ll be looking for the Sterling chargers. They come in quite a few sizes. Here is a 40A (https://amzn.to/2RFptyI) but you can go from there. For a single battery, you’ll need to stay below 50 amp hours charging. Thanks for this, I’m trying to learn this stuff and this has been a great help. I’ve got a few questions but this one is the one I’m least sure of at the moment. I’m looking at the 700 Watt Solar Kit. You’ve got 4 x 175W 12V panels connected in series. While they wouldn’t actually output exactly 48V I assume the MPPT would generally autodetect them at 48V. “The Smartsolar 150/85 is a great choice for controlling up to… 48V at 4800 watts”. So we’ve got a tonne of overhead on the input of the MPPT, it can handle way more than 700W coming in at 48V. So my guess for the heftier MPPT is because you’ve got all the battery suggestions in parallel, maintaining at 12V, because the MPPT can only handle 85A out which means 1,020W. Technically the 150/70 (840W out at 12V) would do the job but overhead is good. However you also suggest the 150/85 for the 875W and 1050W options. So considerably less overhead for 875W and have underspeced for the 1050W panels. The solution would seem to be to get a 24V battery system (either through different batteries or through putting them in series) and a 150/35 for the 700W, a 150/45 for the 875W and a 150/60 for the 1050W. Of course then you’d have to get a 24V inverter and make sure anything running directly off of the DC was 24V or get a step down converter for 12V stuff. Which complicates things. So I guess to keep it uncomplicated I’m suggesting you change the 1050 Watt Solar Kit MPPT to the 150/100 one? I’m working this out as I go along and have no idea if this is gibberish. But it’s been helpful to me to try and nut that out. It’ll be helpful if I’m completely wrong and someone tells me why too. “Thanks for this, I’m trying to learn this stuff and this has been a great help. I’ve got a few questions but this one is the one I’m least sure of at the moment. Here is the first spot your math is off. Those panels put out 19.06 panels each at max power output, so 4 of those panels in series would be about 76 amps coming into the controller which the controller would then regulate down to the 13-14.4v necessary to charge a battery. Indeed a bit of overhead (but not as much as you think since you were looking at that 4800w number (which is for a 48v battery bank)). The Victron 150|60 (https://amzn.to/2pNl93P) would be a better choice for 700w on a 12v battery bank. “So my guess for the heftier MPPT is because you’ve got all the battery suggestions in parallel, maintaining at 12V, because the MPPT can only handle 85A out which means 1,020W. Technically the 150/70 (840W out at 12V) would do the job but overhead is good. Apparently victron has added new controllers to their amazon store since I made these kits (only like two weekes ago… sheesh…) I’ll update the lists, but for 875w kit, go with at least the 150/70 (https://amzn.to/2ITymkm). All other parts on the list would remain the same. 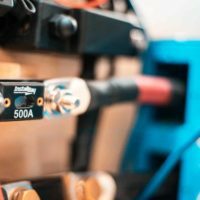 “The solution would seem to be to get a 24V battery system (either through different batteries or through putting them in series) and a 150/35 for the 700W, a 150/45 for the 875W and a 150/60 for the 1050W. Every single thing on this blog post is about 12v systems. Adding 24 or 48v systems into the mix just makes this already complicated blog post even more confusing, so I’m not even going to address 24 or 48v systems in this reply. 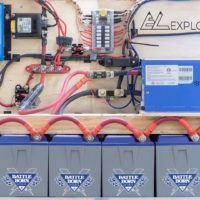 The 1050 watt kit will be 114v (19.06×6) & 9.21 (1050/114) amps input (into the controller) which the controller would regulate down to the 14.4v that your lithium batteries will charge at, which is an output amperage of 72.91 amps out. Feel free to size the controller bigger if you like, but the 150/85 is still in spec for 6×175 watt panels. > The Smartsolar 150/85 is a great choice for controlling up to 1200 watts of solar panels at 12V, 2400 watts at 24V, or 48V at 4800 watts. 1200 watts of solar panels if you have a 12v battery bank. 2400 watts of solar panels if you have a 24v battery bank. 4800 watts of solar panels if you have a 48v battery bank. OK, so just a badly written Amazon description. That makes more sense, cheers. Yeah… It definitely could have been worded a bit better. No problem! Hey Scott! I haven’t seen anybody who is happily and successfully powering much of anything on an RV with wind power. So, take that for what it’s worth. You’re going to need to size your system by your power consumption and your budget. AC is a power hog, but is possible with the right $$$$$. 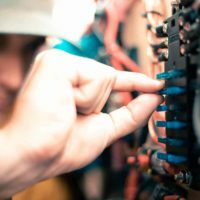 Have you performed the power audit yet? What kind of budget are you working with? Nate and Steph, awesome job and thanks for all your hard work you two put into your blog and videos to bring us free content. Thanks for not only sharing content that’s right/correct but also for showing us what went wrong and how you fixed it. Most people wouldn’t share this info (mistakes). Great job and love your van. hi, question about your theory of 4 x 100w solar panels in series ? wouldnt the usual ohms law apply to solar panels as it does to say batteries, where you series battery and increase the voltage but retain the current/amperage capabilities ? if so wouldnt the 4x100w panels provide you 75-80 volts (4 panel combined voltages) but only 5 amps capability ? i understand all the battery and ohms law rules but something i’m missing on the solar panel and controller side of things as you state high current capability after MPPT controller. and what advantage or disadvantage would there be if you series PAIRS of solar panels and then paralleled the pairs (2 x 2 panels) paralleled to (2 x 2 x panels), would that give you greater capacity to charge the house battery, theory being more amps (parallel pairs) ?? I may be way off and appreciate some guidance there ? There would basically be no advantage to doing it like that. The smaller of the two breakers will be on the solar panel side of the solar controller. solar panels in series suffer from one condition. If any panel is partly blocked the efficiency of the solar setup drops to the level of the least efficient panel in the setup. for a parallel setup this is not the case. However a parallel setup has a different set of issues: more current which requires thicker wires (or smaller wire gauge size) and larger current for MPPT controller to handle. Some people therefore choose to use a series-parallel combo. 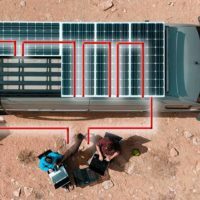 There are hundreds of thousands of ways to design a solar setup. If I catered this blog post to every single possibility, it would become less and less helpful. What you are suggesting is indeed a way to wire solar panels, but it does complicate the system slightly. Most of the people I have talked to in real-world scenarios (Steph and I included) have not had issues due to partial shading. Either we are in the shade or in the sun. There is rarely the awkward middle ground. If there IS an awkward middle ground, we will pull forward 5 feet or back up 5 feet until the problem is solved. That’s why I make all of the wiring diagrams at the bottom of this post; panels in series. Now…if this were for a tiny house or something more stationary and you had partial shading that happened every single day, that’s where I could see altering the wiring diagram. Nate, I have a couple of specific questions about my DIY design for me Sprinter electrical system. Is this “Comment” section away for us to communicate or is there a better way? Hey Chuck! This comment section is indeed the best way. Nate is the 14ga duplex wire necessary? Hey David! Would you mind rephrasing your question with, perhaps a little more context? Hello. I have a 1988 RV and wanting to put solor on it. I have brought the kit but not understanding how to link everything together. 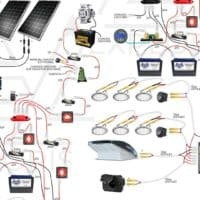 I understand how to meet up the solor to the inverter and to the house battery through the controller and how to hook up the main battery to the controller. Where I’m confused is how do i set up the old setup to the new one. I have a generator involved. Hey Laverne! 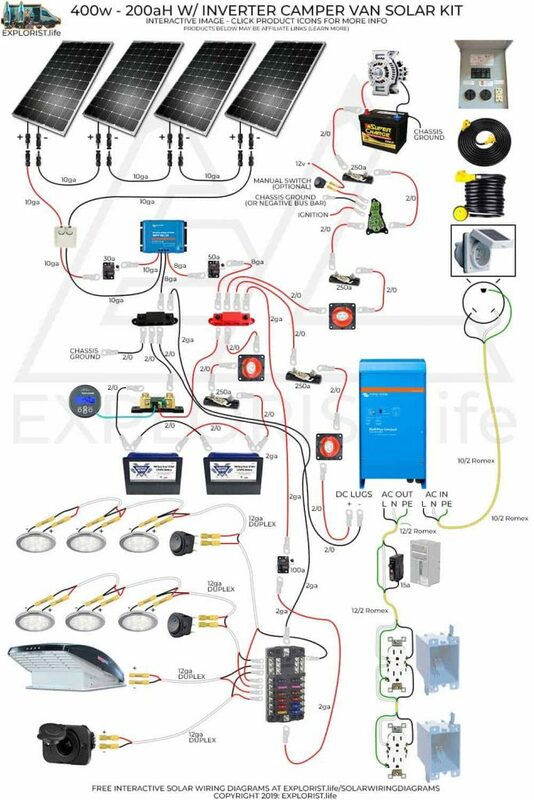 The best way for me to help out on this would be for you to draw a wiring diagram as accurately as possible as to what you’ve got going on so I can make a recommendation. Thank you both so much for this extensive explanation, together with the youtube. Would this set-up work the same way for 240V….? You’re very welcome! The setup wouldn’t be exactly the same, but it would be VERY similar for 240v. Great guide guys. I am in the early stages of planning a van build and your info will be invaluable in the final design stage. Thank you so much for putting it together and making it available. I am in the planning stages of my solar system for my bus. 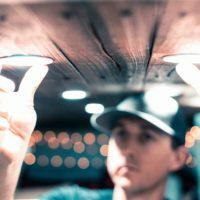 I ordered 10-245w panels and I’m being told that will be too much. I understand the biggest expense in the system is going to be the battery bank. How will I know my daily usage without first purchasing all the appliances. The solar is basically the first thing that needs completing before moving forward with the build. Is there ballpark number out there that the average RV uses during a day and can be used to ballpark needs? That’s a HUGE system for sure, but I will never say something is TOO big. You’ll be in the “I can run an air conditioner off of solar” realm with that setup depending on battery bank. There’s really no ballpark number as everybody has drastically different needs. Thank you for helpful post. 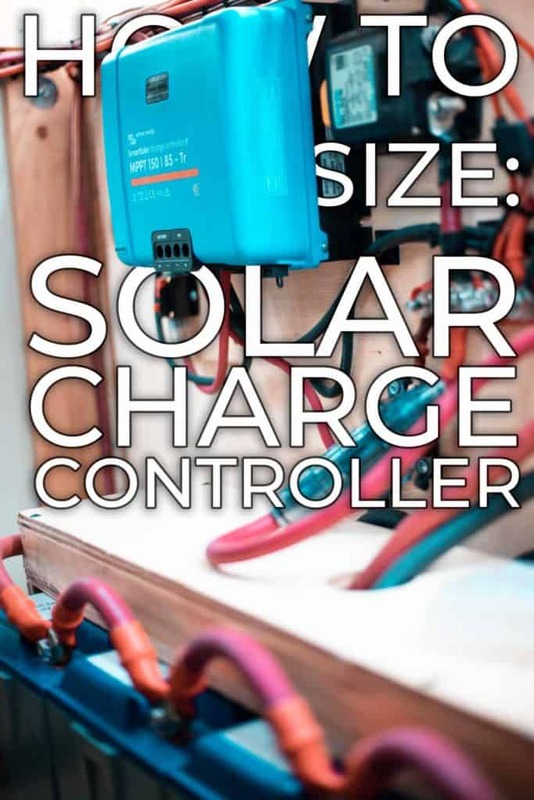 A charge controller is especially important when wiring your solar panels in series due to the fact that the voltage is added up. A charge controller is able to accept a higher voltage and in-turn converts this to the correct voltage of your leisure battery. Literally just started learning this stuff about 10 minutes ago, when i clicked the link to this article! hahhaa many questions to come, but for now I am just trying to wrap my head around the start. We are getting our roof rack from Aluminess pretty soon and want to run wiring for Solar, potentially lights before we get the rack. We know what panels we are getting, so I guess I am asking did you guys cut your entry gland, set up your wires, MC4 connectors and everything – then have your rack installed then mount and hook up the panels? Thanks a bunch in advance! We cut the hole and mounted the entry gland first then mounted the rack over the top of it then ran the wires and hooked up the panels. Hi Nate, thank you for your post! 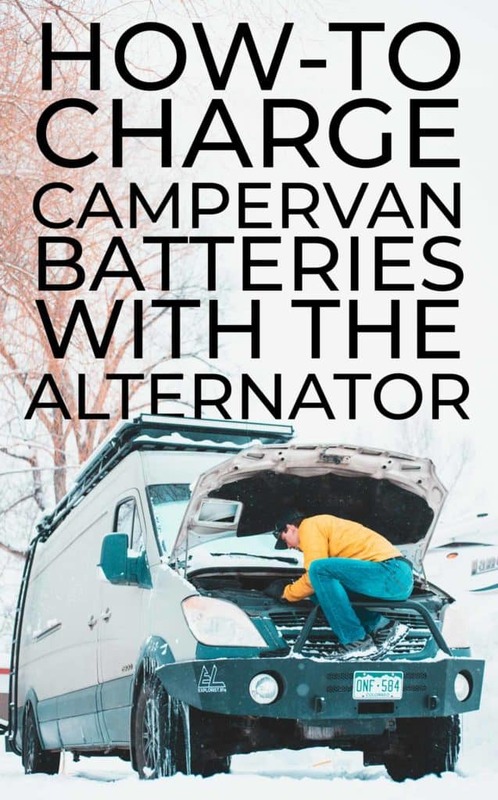 Are you concerned about overstressing your sprinter’s stock alternator by having it charge your lithium batteries? Have you had any issue with this? I’m not really ‘concerned’ with it, but I really only charge via the alternator when necessary. I typically have the isolator disconnected until needed and let the solar take care of the job. 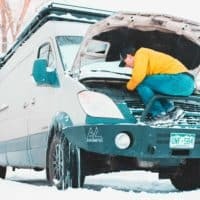 I recently started research on my first van conversion. This is the first site that I find to be truly helpful, thank you. That being said first impressions are important and the first part of the second sentence of this page “This guide will take you not only our solar builds, but” seams to be missing a word. Regarding “Charge Controller SEC. 2” after the list of 14 Victron controllers, and under the sub title “WHAT DO THESE NUMBERS MEAN?! ?” The 2 words in blue “charge controller” as I understand it should actually read “solar panels”. Sorry to point these things out but my OCD compels me. Lastly, from my perspective (novice) the pictures in your diagrams look nice but it would helpful identifying the parts if they had basic labels such as bus bar, isolator, Fuses, etc. Diagrams with labels are being added here: https://www.explorist.life/solarwiringdiagrams/ Be sure to watch the video at the top of the page to get a rundown of how to use the page best. I have a camper in a seasonal spot at a camp ground I am only there on the week end . My ? 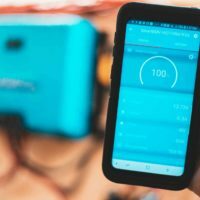 is can I leave the panels on charging the battery all week without over charging the battery ? I do have a mppt controller . I can’t speak for all MPPT controllers, but most name brand controllers including Victron controllers will have no problem with your proposed scenario. 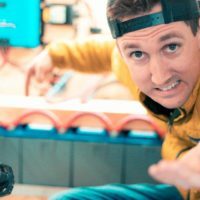 Hi Nate: I have been following you and Steph for your entire build as I have thought about starting my own build. I now have a 2017 Sprinter and I am enjoying the build process. Working on retiring in a couple years and plan to travel and hike, not planning on parking in one spot more that a day or 2. I have done your Power and came up with an estimated daily use of 400 Amp hours per day. didn’t want propane and will be using a Induction stove and Rixen’s diesel heat and hot water. Hey guys, just found your blogs and YT. Definitely going to be liking and subscribing. Question, it looks like you’ve got your fan under a solar panel, how does that work and how’d you do it please? Welcome aboard! The roof rack is simply high enough that the roof vent has clearance to fully open without hitting the solar panels. WOW! You guys are a lifesaver. We are in process of building a camper van, not to live in, but to certainly go on the road for a month or two at a time. I am not fearful of any of the systems we want to put in except for the power system and solar. The above diagram is brilliant! 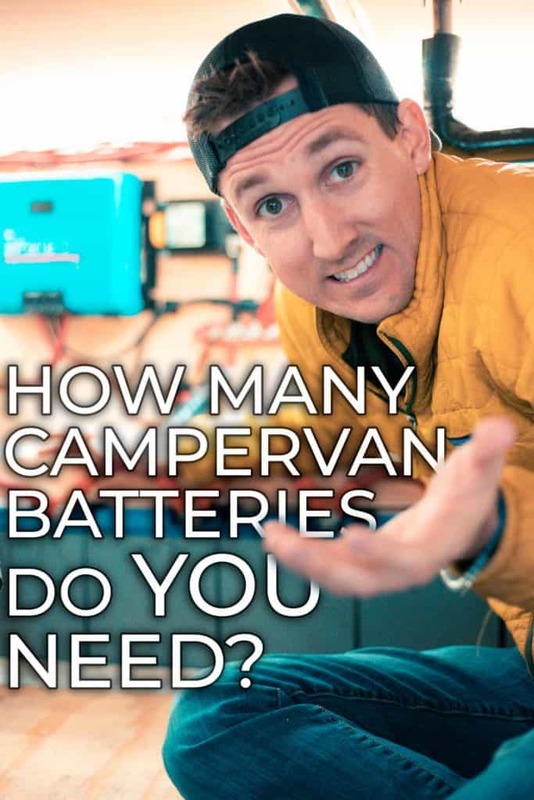 Gives me the basic knowledge to charge our batteries from shore, solar, or the chassis as well as having some dedicated shore power options bypassing the batteries. I will be using this as my “bible” as I move forward. Thank you x10! I have one question. Why use a Lithium Battery Isolation Manager and not use a VSR between the car battery and the bus bar? The lithium battery isolation manager is basically a VSR, but with different open/close parameters that make it more conducive for charging lithium. There will be a follow-up, more in depth blog post talking about this coming up soon, so be sure you’re subscribed to the email list. 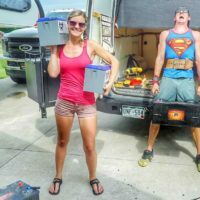 Would you please e-mail me a copy of the DIY e-book you refer to in your truck camper video. Thanks! The ebook is no longer available. Fortunately, all of the information (and a ton more) can be found right here on the page you are looking at. Yes… adding more solar panels would, indeed, give you more power.